If you have never made these- you must try! 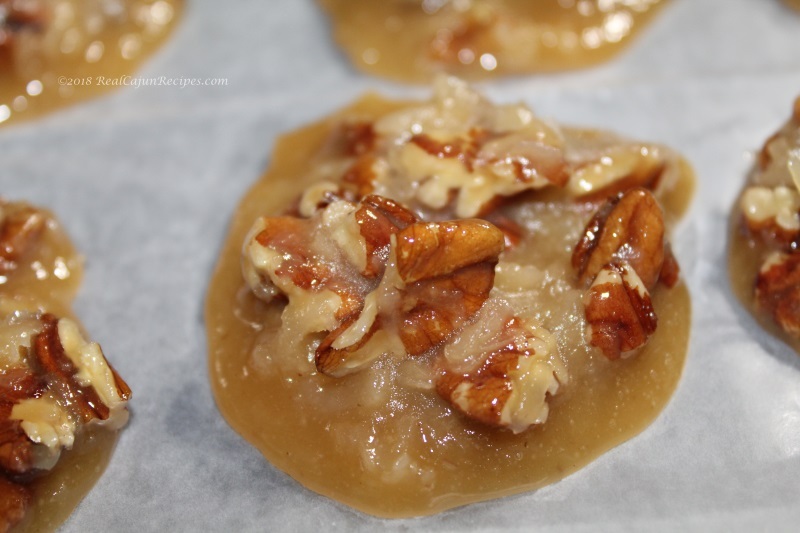 These are Heavenly – Easy to prepare and these pecan sweet Coconut Pecan Pralines make the Perfect Treat and Holidays sharing!! In a large saucepan over medium-high heat, stir together sugars, salt, evaporated milk, corn syrup and butter until melted and smooth. Bring to a boil and cook for 3 minutes, then remove from heat and stir in vanilla extract and salt. Fold in shredded coconut and pecans until incorporated, then continue stirring for 3-4 minutes, or until mixture begins to cool. Once thick, use a tablespoon or small ice cream scoop to drop spoonfuls of cookie “dough” onto wax paper-lined baking sheets.